Have you recently met someone who you think could be your soul mate? If so, you may have mixed feelings right now. There is an excitement that comes from wondering if that person is the special soul mate God has for you. But there’s also the fear of letting your hopes and emotions go too far — thinking you may be setting yourself up for disappointment or rejection. Part of it is so much fun. That’s because you long for that special someone who will make the rest of your life more fulfilling. Someone who will love you in an exceptional way, filling your emotional tank and giving you a sense of completeness. But also someone who you can love. We were created to give love and that goes beyond loving our parents or children. It is a romantic love that we want to share with a soul mate. So now a person has surfaced who seems like they may satisfy that inner desire. You stand on the threshold of what you hoped would happen some day, but also feared might forever be out of reach. Now there is a name and a person to whom you can attach your desire and dream. It’s becoming tangible. That is so exciting! But it’s also scary. You so want this to be the “right” person that it’s easy to get ahead of yourself. You know that. You’ve been hurt in past relationships because you had invested all of yourself in another person. Then they violated your trust and broke your heart in return. In the beginning, you were excited about them too. It all seemed so good. You never dreamt it would end as it did. Now you never want to experience that kind of emotional pain again. So you think maybe it’s safer to just remain alone. Why take the risk? But if you aren’t willing to be vulnerable again, you’ll never experience the best that God has in store for you. That takes faith — but not blind faith – faith in God’s guidance and protection. Take it slow. Guard your heart until they have proven their integrity. Don’t let desire cloud your vision and cause you to latch onto a person you really don’t know. 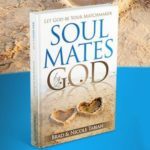 Use the Soul Mate Compatibility Factors as a way to discover qualities and values that are important to God and you. Entrust yourself and this relationship to God. Follow His principles. Pray and listen for His answers. Expect God to guide your steps and intervene when necessary. He will take care of you. And regardless what happens, God will make sure you benefit because He is committed to your well being. He loves you very much and is your Protector in every way.